A few weeks ago, I sat down with my Director for my weekly 1-2-1. We discussed my pipeline, clients I’m working with, clients I want to be working with, personal goals, what I’m working towards and how I’m going to get there. Moving into Q4 gives you the chance to reflect on your year whilst also considering the year ahead – for me, my ambitions and drive mean I’m constantly pushing myself to develop both out of work and professionally, and one of the things I’ve always struggled with (surprisingly, some might say) is confidence. For those who work with me will know I’m often the loudest person in the room. When meeting candidates, clients I can talk for hours and I thrive off new business and (sometimes) being the centre of attention. But take me out my comfort zone and it can often be a different story. A few situations I’ve been in over the last few months have really made me reflect on this, standing in front of my colleagues in the Monday morning meeting and being asked to present, or the pressure from wanting to make the best impression possible with a prospect you’ve been trying to work with for years, I can calm myself down to some extent and come across cool, calm and collected – but inside I’m COMPLETELY freaking out. My management knows this is something I’ve struggled with, and eager to see me develop they’ve signed me up to my biggest fear… a public speaking course. The first session was yesterday evening, and I’m pleased to say, it wasn’t as awful and intimidating as I thought it would be. 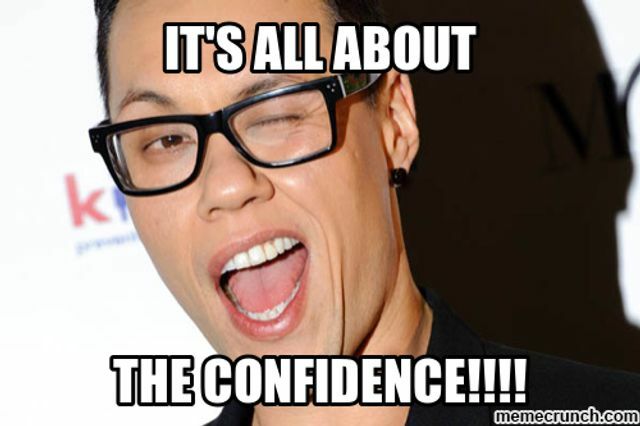 It got me thinking about confidence, and how from both interviewers and salespersons perspective little things can help contribute to our overall success. I don’t know how the next 12 weeks of my course will unfold, and whether I’ll be the most confident person in the room by the end of it, but I know in the meantime I’ll be standing tall, breathing more and faking it till I BECOME it.